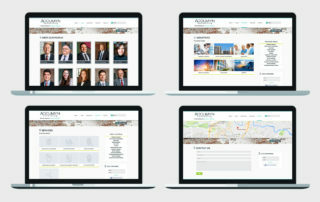 Website re-design and brand development refreshes forensic company’s corporate image. 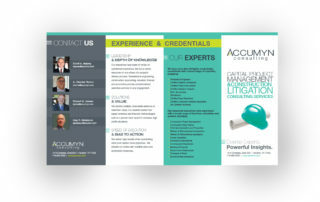 Clients involved in high-stakes legal matters want to know the firm backing them has the experience to guide them through the worst case scenarios while still being approachable and easy to talk to. 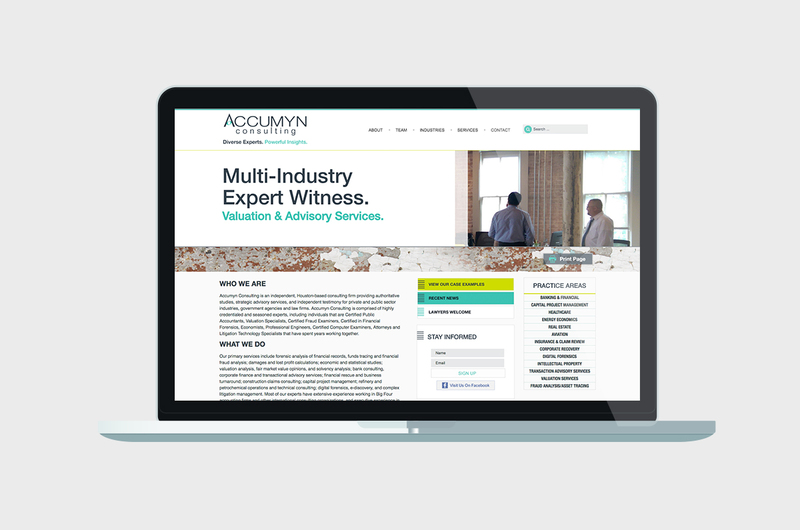 However, Accumyn’s distinctive culture and breadth of experience weren’t being depicted in its brand image. 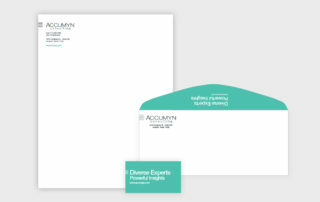 The company needed to portray its level of expertise while still appearing personable—and more human—than the rest of the industry. 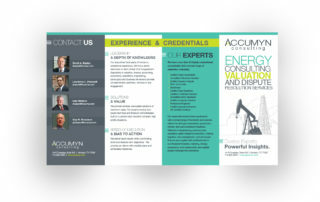 To accomplish this, ODDS extracted the most human qualities of Accumyn and showcased them on the company website and collateral. 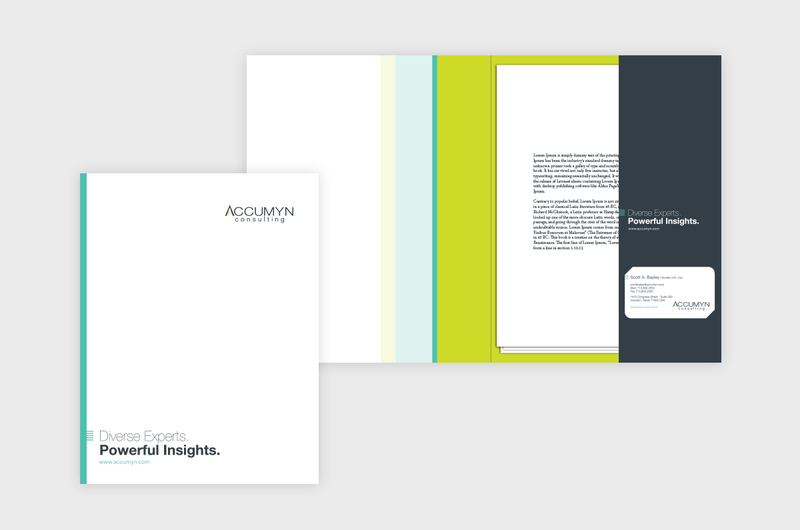 Executed a brand analysis to gather Accumyn’s distinctive characteristics for brand development. 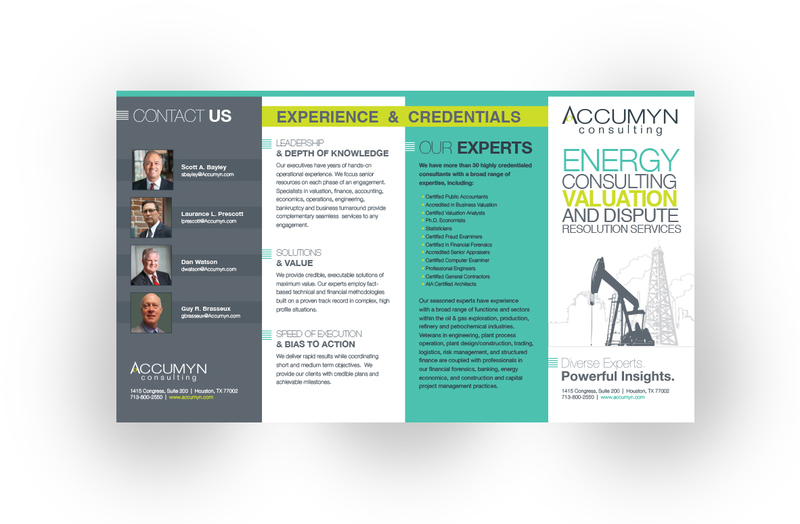 Enhanced company image through re-design of logos, website, and promotional items. Created e-mail marketing campaign announcing the launch of Accumyn’s new website. 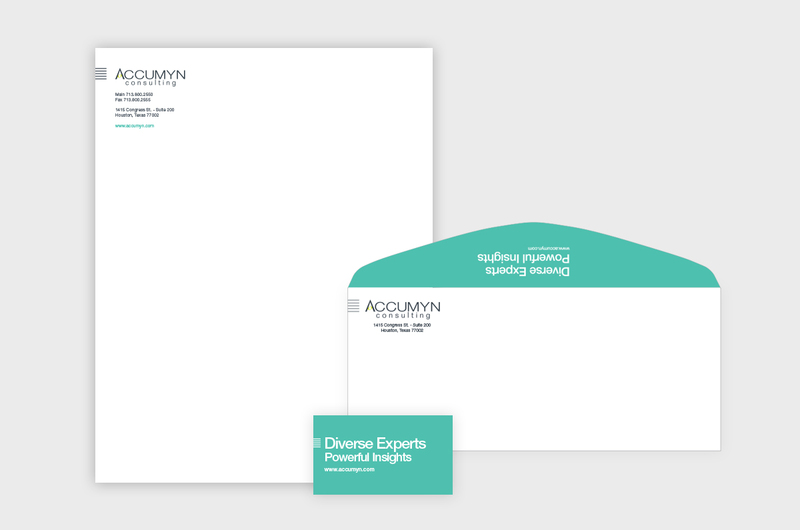 Enhanced Accumyn’s image of being “approachable” by redesigning logo with an artsy twist. 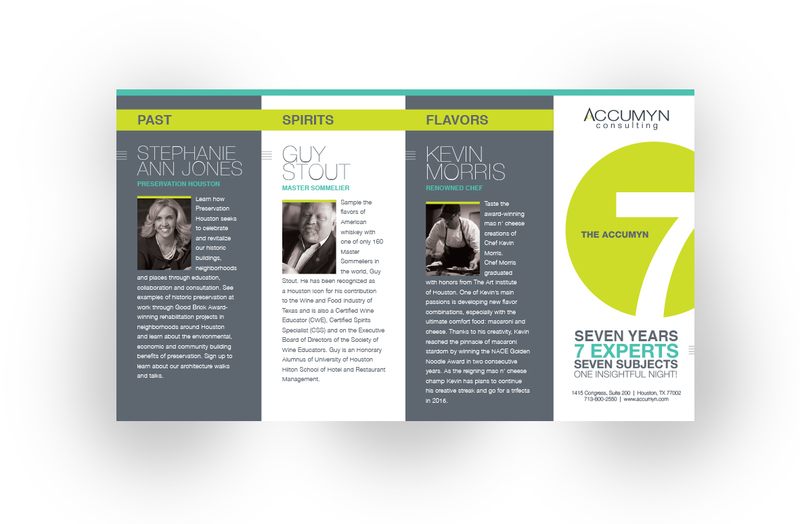 Acclimated clients to the true Accumyn culture by providing print work and promotional items for its 7th anniversary party. 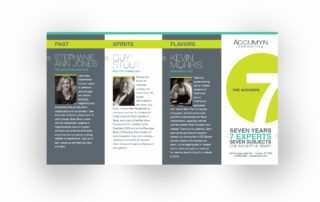 This included design work for “7 Distinctive Features of Houston” theme, cigar bands, 6-pack holders, and signs. 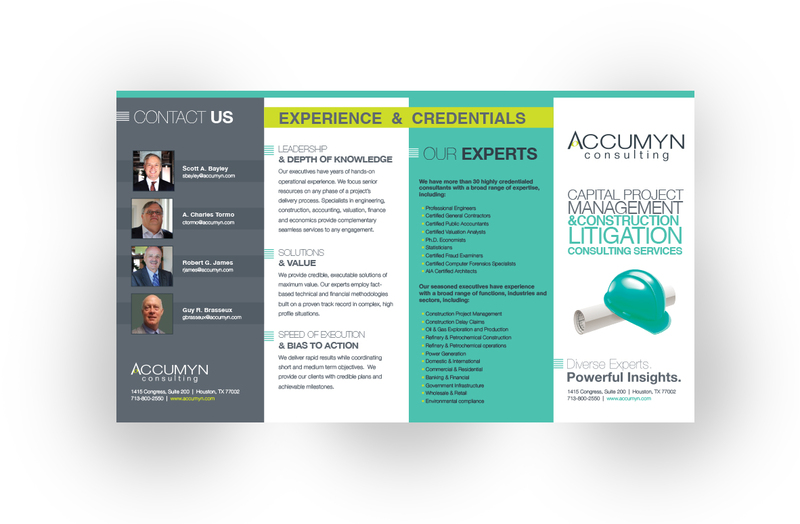 Significantly enhanced Accumyn’s approachability factor using real life photography, bios, art and content enrichment. 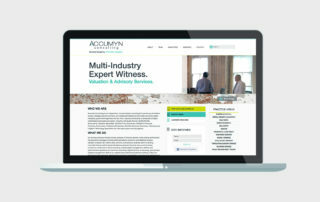 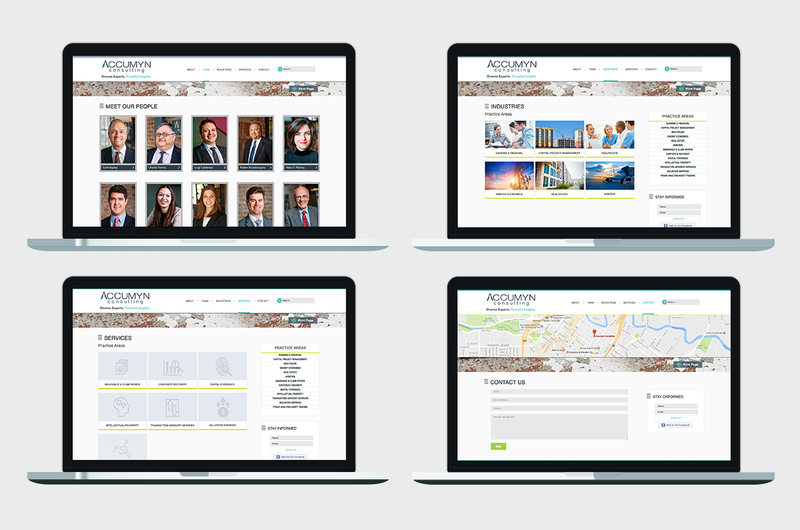 Clients found Accumyn’s website to be more indicative of its personality.